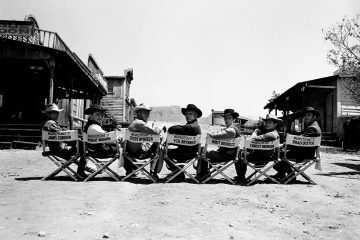 Should you be able to win an Academy Award for a single idea or image if it’s perfect? Obviously, I’m referring to the above outfit from Bullitt which went completely unrecognized when they were handing out awards at the end of the swingin’ 60’s. In the world of costume design it’s often joked that the period piece with the most ornate costumes will automatically win. 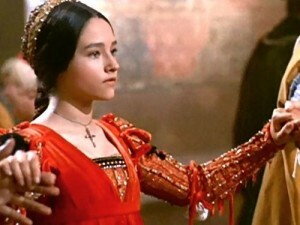 1969 was no stranger to this axiom when Danilo Donati took home the gold statue for costuming Zeffirelli’s Romeo and Juliet. But maybe we should be thinking more of how costume serves story as opposed to pure uniqueness. 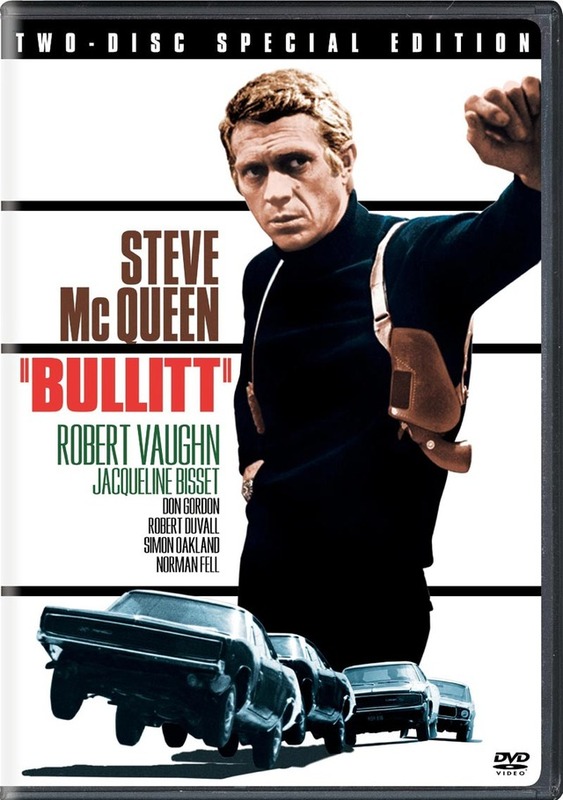 In Peter Yates’ Bullitt, a no-nonsense cop roots out a massive conspiracy after a key witness is murdered in his care. Since it was released in 1968, it’s important to look at Bullitt as a product of its time. Before we start discussing the outfit that is arguably the point of this entire piece, it’s important to point out a few other fashion forward (no seriously, bare with me) pieces in the film. Jacqueline Bisset’s character Cathy only has a few scenes in Bullitt, but arguably has one of the most important thematic roles. She’s a modern woman, a Brit, and incredibly smart. She represents social change in her embodiment of the Mod scene. By having her utter technically ‘complex’ dialogue like “Now, what’s the velocity per second of a five-inch pipe?” in a shirt functioning as a dress, we’re presented with her mechanical intelligence and sexuality all at the same time. See if you can guess which of the below pictures takes place in her office and which shows post-coital relaxation in the privacy of Bullitt’s apartment. Her clothes mark her as a symbol of modern feminism that, in turn, helps to define the emotional depth of our protagonist. By being linked with Frank Bullitt, she separates him from the establishment. This ‘establishment’, by the way, is presented as stuffy men in clean, three-piece suits. The cops that are kind of dicks and can’t do what Bullitt does could have come straight out of an episode of Dragnet. 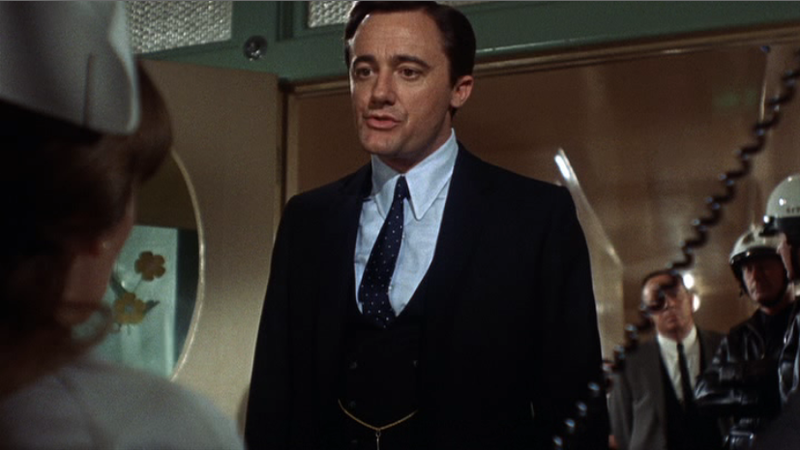 Meanwhile, the all-powerful, corrupt politician (Robert Vaughan) who puts the whole plot into motion wears a pretentious chain along with his suit, tie, and vest. 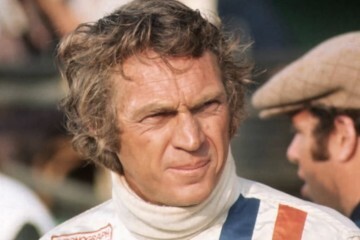 Which brings us to the antithesis in Steve McQueen as Frank Bullitt. One thing I noticed when I first watched this movie was the main character’s penchant for kind of ugly bathrobes (below is one of the two he wears over the course of the movie). 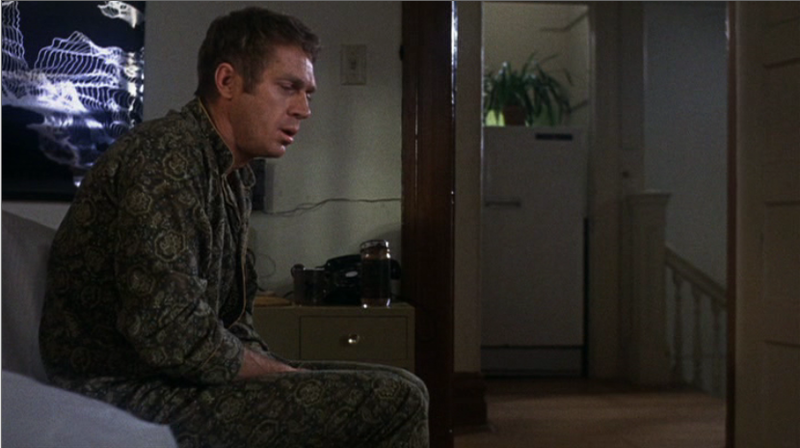 The casting of the perpetually rugged Steve McQueen as Bullitt manages to add a toughness to a man who wears odd-looking prints to bed. It’s an interesting, pampered aspect of the character that makes the emotional denouement (staring in the mirror as the camera focuses on his removed gun holster) all the more believable. 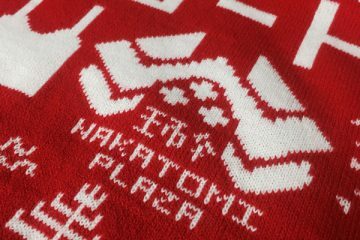 Not only that, this masculine dude kind of has a thing for sweaters! 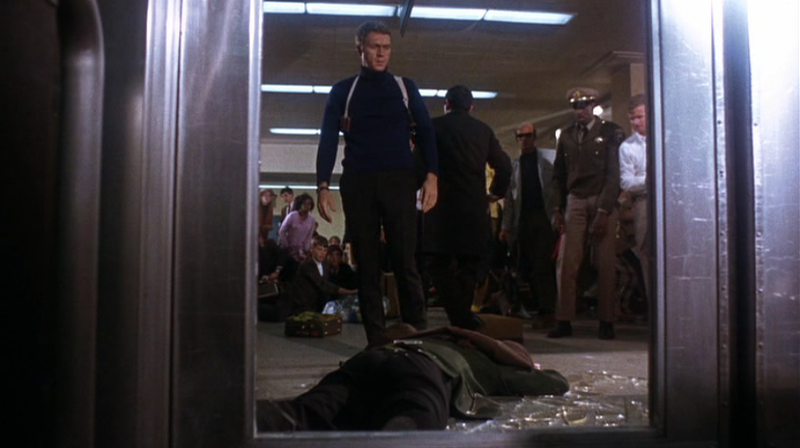 So now to the money shot: Bullitt’s famous turtleneck/holster combo. Surprisingly enough, the scene on the poster at the top of the page isn’t quite featured in the movie! We only see the holsters briefly before he puts on his dark brown, elbow-patched blazer and later when he removes the jacket for a practical, yet tender moment. 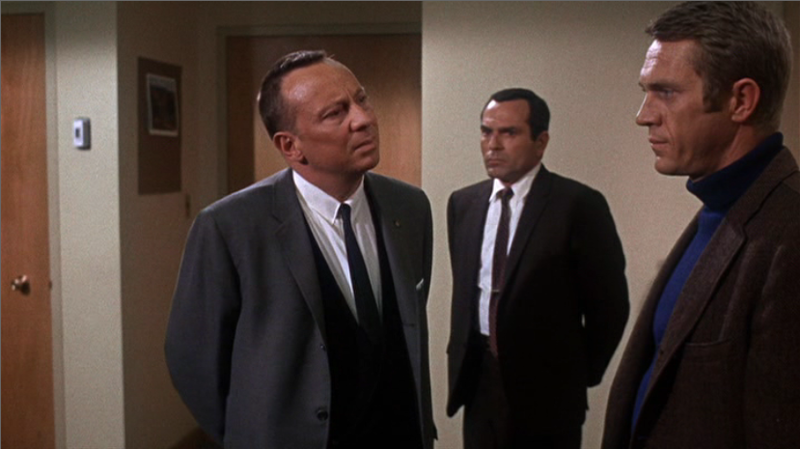 With all of the above evidence, it seems impossible to define the depth of Bullitt’s costume design by merely looking at one ensemble. Theadora Van Runkle’s whole package represents a specific time and place. It uses innovative styles to both add to the story and also attempt to hit the thematic notes independently. But even if it didn’t: Why can’t someone win an award for one spectacular, iconic outfit? That turtleneck has more screentime than Beatrice Straight in Network or Judi Dench in Shakespeare in Love. 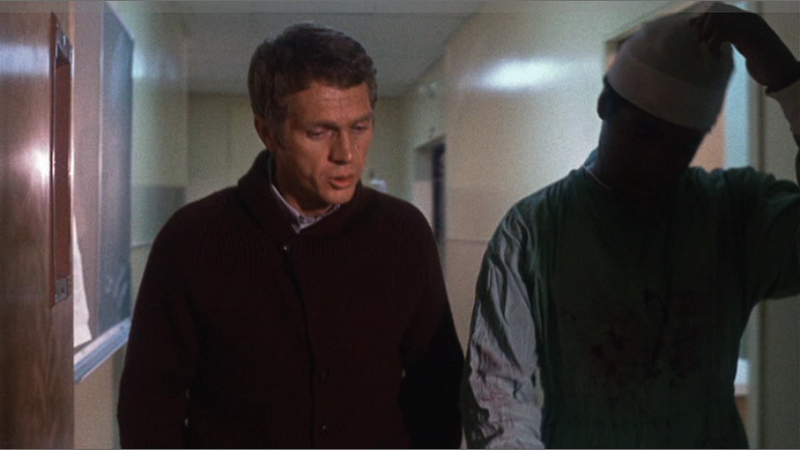 Would Shaft have ever been allowed to don a turtleneck without Steve McQueen? 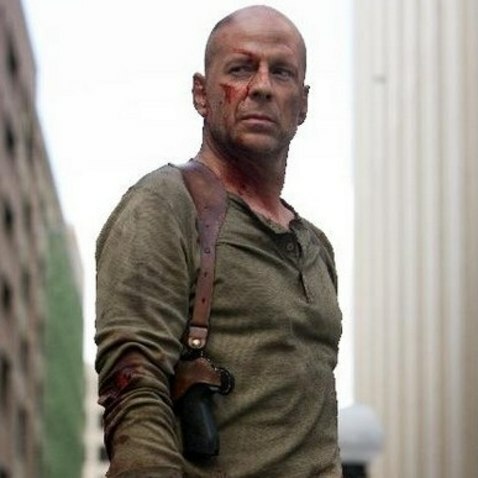 Would we have ever seen John McClane strip down to his dirty A-shirt? Speaking of which, a film called The Detective was adapted from a novel of the same name and was released roughly five months before Bullitt in 1968. 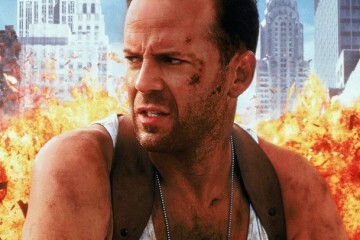 The sequel of that novel was titled Nothing Lasts Forever and was eventually adapted twenty years later as Die Hard. 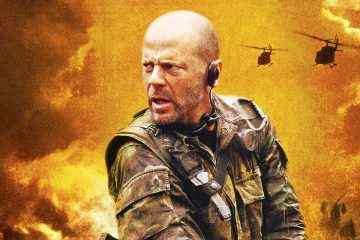 In that film (and its sequels), Bruce Willis sports clothes that look to be subtle homages to Runkle’s design in Bullitt. Throughout The Detective, the ‘same’ character is played by Frank Sinatra wearing fairly pedestrian suits and hats… the uniform of an old school cop. 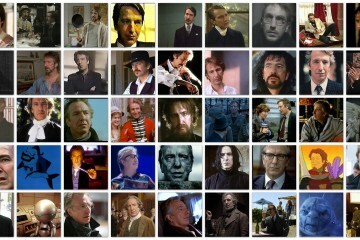 That, I think, sums up the groundbreaking legacy of a single turtleneck better than some haughty thoughtpiece could. Sorry for all the talk about clothes… how about an explosion? 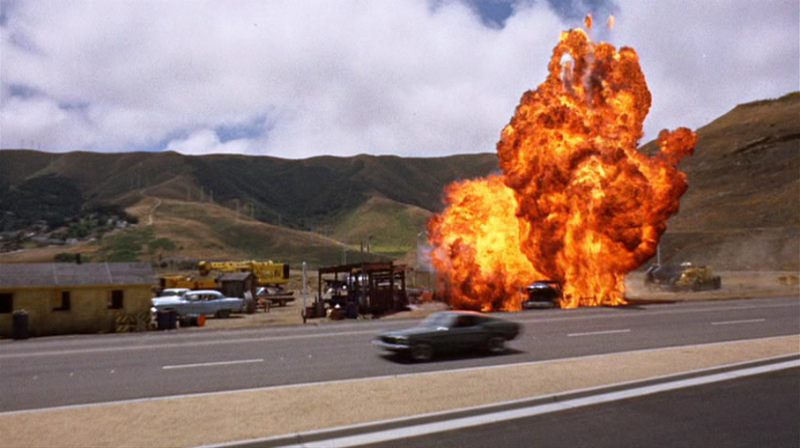 This is the end of one of the best car chases of all time. BOOM!